Hioki 3174 Automatisk tester for isolationsmodstand og spændingsgennemslag. 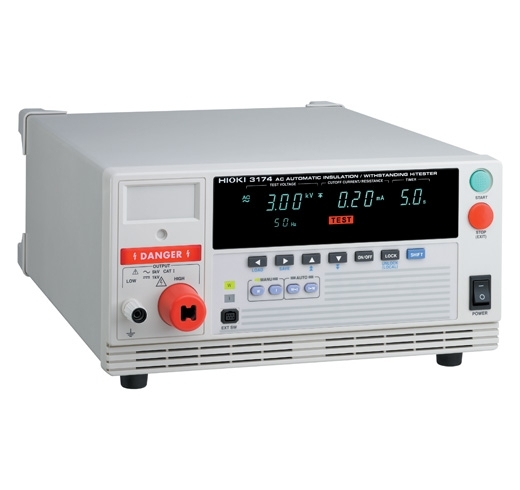 Measurement range, Accuracy 0.5MΩ to 999MΩ (at 500V), and 1MΩ to 999MΩ (at 1000V) : ±4% rdg., 1000MΩ to 2000MΩ : ±8% rdg. Power consumption 100 to 240V AC, (50/60Hz), 200VA max.